I'm so glad to see your back! Love the card! I did not end up getting this set. I love hearts! Love the new background! And I like the little OCD sign...too cute! This is so pretty! Congrats to your parents on their long & happy relationship!! 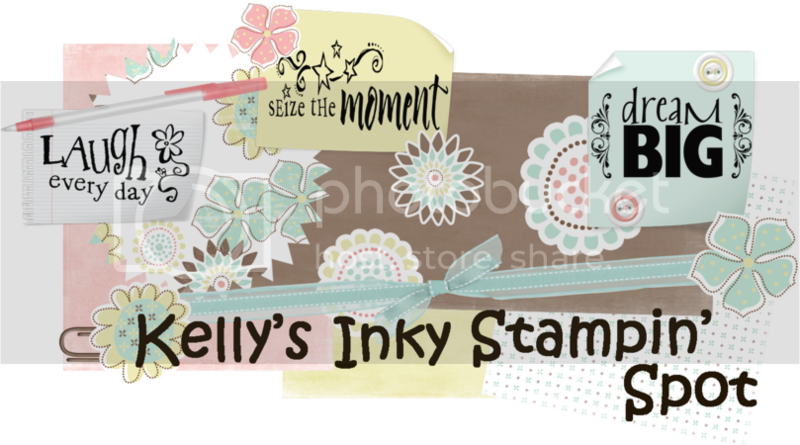 Welcome to Blogger Group 8 Kelly!!! I love this card. I'm dying to get this set, but am waiting...I'm signing up to be a demo on Feb 1st so I can get their discount and this one's on my list. I can hardly wait! Thanks for the inspiration.